What are Micro-units? They are very small apartments, designed for areas where folks want their own space, but where square footage per resident is very small. They are popular in Tokyo, and just now coming into view in New York. This could be the future of urban real estate development. This article from the NY Times will fill you in. Can Micro-Units serve everyone? Hardly. But we can see them becoming popular in many areas where rents are high and the population dense. The future of real estate development in urban and suburban areas will see great innovation in the coming years … especially with a growing population and shrinking availability of undeveloped space. Micro-units will be just one of many such innovations. Here's some interesting news. A fully permitted, 24 acre, commercial site adjacent to Los Angeles International Airport is up for sale! the well-known Thomas Properties Group is in the process of becoming a REIT, and is therefore divesting itself of properties which are currently producing no income. This includes this very interesting development in that area right by the airport where new development is very hard to come by. The site has already been permitted for mixed commercial, hotels, research and development, and many other uses. Funny that we get this Los Angeles commercial real estate news our of Reuters in New York. NEW YORK (Reuters) – "Thomas Properties Group Inc (TPGI.O) has put a 24-acre development parcel of fully permitted land next to the Los Angeles International Airport up for sale, exiting the development business as it becomes a real estate investment trust." If this newly available site … or any site available in Southern California … looks interesting to you, please contact us here at Costa Land and Real Estate Services. Simply use the "Contact Me" page on this site. We're always ready to help with all your commercial real estate needs. 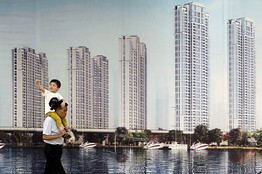 After nine months of steadily falling housing prices, they are on the rise in China once more. Here's the current report from the Wall Street journal. Wall Street Journal – "According to a survey of property developers and real-estate firms, the average price of housing in 100 major Chinese cities rose in June from the previous month, after nine straight months of decline. The survey follows other signs that the Chinese market has bottomed out, including a pick up in real-estate investment in May and a far shallower decline in property sales during that month compared with April". There's always a danger, however, in every silver lining. It's possible that, as chinese consumers become convinced that the market has recovered, their enthusiasm could cause another "bubble" … and we know where those lead. Interested consumers and analysts are keeping a very close eye on the next few months acivity in Chinese commercial real estate. Have you heard of them? they're from the UK and they are the Candy Brothers. Ultra large, in-town apartments for the ultra-wealthy. They are innovators in the world of commercial real estate development for residential use. These guys are young, innovative outsiders who are changing the face of what most developers think is "the Possible"
Here's an informative artice from the New York Times that will fill you in. 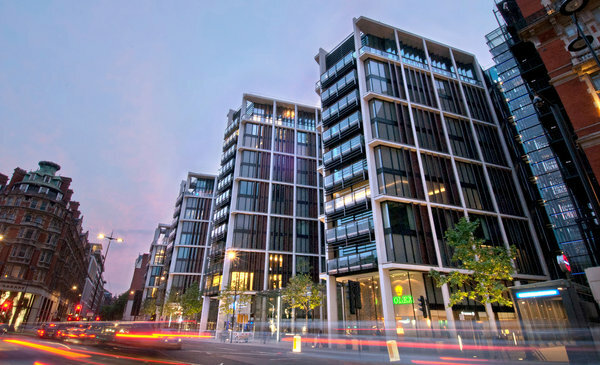 The New York Times – "… they have lifted the bar in London,” said Tony Pidgley, chairman of Berkeley Group, a real estate development company in London. “They are two young men that nobody believed in and nobody had ever heard of. And they go and buy one of the best locations in London …"
At this point, the "Upstart" Candys have invaded New York in a big way. Apparently, Los Angeles is next on the list and we should be hearing more of that shortly. In the meantime, these are two guys to make sure you keep on your radar. They're already "rocking the boat" as far as many are concerned. Future developments can be expected soon, and the world of commercial real estate is watching closely.